President Mahinda Rajapaksa has ordered investigations into the alleged assault on Sri Lankan High Commissioner in London Dr. Chris Nonis and also External Affairs Ministry Secretary Kshenuka Senawiratne ‘s complaint against Dr. Nonis, Government Information Department said. However, the Information Department did not reveal further details about the President’s directive. President Rajapaksa ordered the inquiry during his visit to Vatican, where he met the Pope yesterday to formally extend the invitation to visit Sri Lanka. Reports said MP Sajin Vaas Gunawardane allegedly assaulted Dr. Nonis at the New York residence of Dilan Ariyawansa, who is a director of SriLankan Airlines. It is also learnt that until the President’s directive, the External Affairs Ministry had not initiated any inquiry into the incident. Beijing: China has flight tested an upgraded version of its 10,000-km range Dongfeng missile which could reach most of the US and European cities, days ahead of its October 1st National Day to demonstrate its nuclear capability, media reports said. The People’s Liberation Army, (PLA) launched a Dongfeng-31B on September 25 from the Wuzhai Missile and Space Test Centre also known as the Taiyuan Satellite Launch Centre in Shanxi province, Hong Kong-based South China Morning Post reported quoting US media reports. The DF-31B is an upgraded version of the DF-31A and the launch was at least the second time the PLA’s Second Artillery Corps had tested a DF-31 missile in the past three months. Xu Guangyu, a Beijing-based retired PLA major general said the strategic aim of the test is “Beijing just wants to increase China’s military might and its nuclear strategic threat. It’s not really targeting the US or other countries”. “China needs to conduct intensive weapons tests and military drills because the (US-led build-up) now in the Asia-Pacific area is not good for Beijing,” he told the Post. Xu said the US’ “pivot to Asia” and its plan to send 60 per cent of its military force to the region by 2020 had put pressure on Beijing to step up missile development. “It’s normal for China to develop other, more advanced missiles given that a weapon cycle is between five and seven years, and the DF-31A was delivered to the PLA in 2006,” he said. “The DF-31A was designed to carry three warheads. I think the new DF-31B is possibly a multi-warhead version with higher accuracy,” Wong said. San Francisco: Facebook said Friday it has stepped up its battle against spammers who promise to deliver “likes” to its members, and warned users on using such scams. The world`s most popular social network said that to date, it has obtained legal judgments of nearly $2 billion against fraudulent activities on Facebook. It was not clear how much of that was actually collected. Facebook`s moves appeared to counter concerns that users — including politicians and companies selling products — are buying “likes” to make them appear more popular. And it is targeting a cottage industry which seeks to deliver these results to Facebook members, often promising “10,000 likes” or more for a fee. “We write rules and use machine learning to catch suspicious behavior that sticks out. When we catch fraudulent activity, we work to counter and prevent it, including blocking accounts and removing fake likes all at once,” Facebook site integrity engineer Matt Jones said in a blog post. NRE Savings Account kotak.com/NRE-Account 4% Interest,Tax-Free & Repatriable. Highest Return NRE A/c. Apply Now! 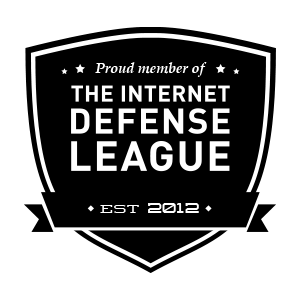 “It`s important to remember that fraudulent activity is bad for everyone –including page owners, advertisers, Facebook and people on our platform,” he said. 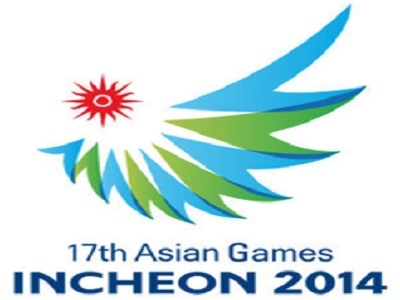 Incheon: The Asian Games end with a spectacular ceremony on Saturday but not before the last few medals are handed out, with China aiming to break the 150 gold mark. China go into the last day at the top of the medal standings with 149 golds and will be confident of wins for Xu Xin and Liu Shiwen in the men`s and women`s table tennis singles finals. The powerhouse Chinese are well clear of their nearest rivals but their total is well down on the 199 golds they managed when they hosted the last Games in Guangzhou in 2010. Their table tennis stars Liu for the women and Xu in the men`s event are favourites to add to the gold rush, though Feng Tianwen of Singapore could give Liu a run for her money if both make it through their semi-finals. There are three medals to be decided in karate, the men`s under 84kg and over 84kg and the women`s under 50kg. The soft tennis men`s and women`s team medals will also be decided. K-Pop artist Big Bang headlines the closing ceremony, which will see the Olympic Council of Asia flag formally handed over to the next host city, Jakarta. Between now and 2018 there will be some soul searching over how to attract crowds to Asiad stadiums after Games in Doha, Guangzhou and now Incheon marked by a multitude of empty seats. But OCA president Sheikh Ahmad Al-Fahad Al-Sabah insisted in an interview with AFP ahead of the last day that the Games will not be reduced for Jakarta. “The Games should be this size, not less. We try to decrease the operation costs, but not the style of the Games,” the Kuwaiti said.